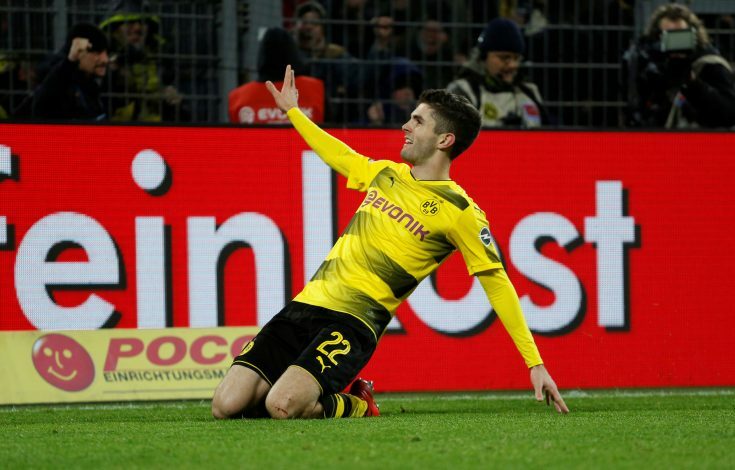 Borussia Dortmund starlet Christian Pulisic seems to be attracting heavy interest from the Premier League. The United States international has already been linked with the likes of Chelsea and Liverpool, but now, a new club has supposedly entered the fray. According to German outlet Sports Bild, Manchester United have joined the race for the midfielder’s services, and they are ready to meet the player’s valuation, which is rumoured to be in the region of €50-60m. While the competition for the 20-year-old is fierce even for a club of United’s stature, the Red Devils may unknowingly possess a huge advantage right from the get-go. Since these transfer reports have come to light, old interviews of Pulisic himself have re-emerged, wherein the youngster can be seen publicly admitting his love for the Old Trafford outfit. During an interview in September 2016, Pulisic had told ESPN (via Goal): “I was a big Manchester United fan when I was younger. I loved to watch Rooney. I wouldn’t say I’m a similar player, though. He further spoke about the chances of a prospective switch to the Theatre of Dreams, as he added: “Of course, right now I am under contract with Dortmund and I’m not looking around or doing anything like that so I’m very focused there. But, yeah, it’s cool to hear all this stuff!